The Workers' Compensation Law is designed to compensate employees for loss of earning power due to work related injuries or diseases "arising out of and in the course and scope of their employment." This coverage includes both medical expenses and loss of time (payroll) payments to an employee who is unable to work for an extended period of time due to a compensable injury or disease. This applies to all state employees, regardless of merit status or type of employment. All employees are covered under the Kentucky Workers' Compensation Law (KRS 342). 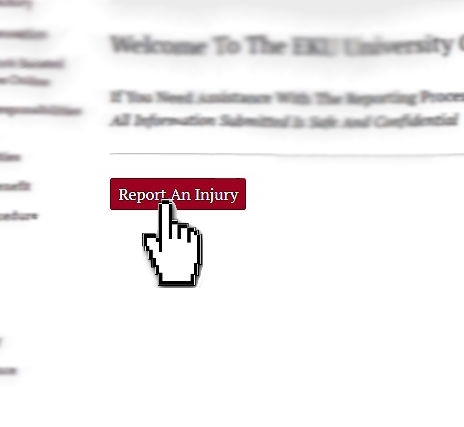 All injuries should be reported to the University Claims Office as soon as they occur. If the injury requires immediate medical attention, seek that first! To report a work related injury, use the Online Injury/Illness Reporting Tool. If you do not have access to our online reporting form, visit or call the University Claims Office. If you are an employee with Facilities Services you may visit Kim Cook for completion of the First Report of Injury. Please report within 24 hours of the injury. The Signature Page must be signed and returned to the University Claims Office along with the Medical Consent Waiver. By signing the Signature Page one is recognizing that it is unlawful to falsify any information in an attempt to defraud any insurance company or the State of Kentucky. 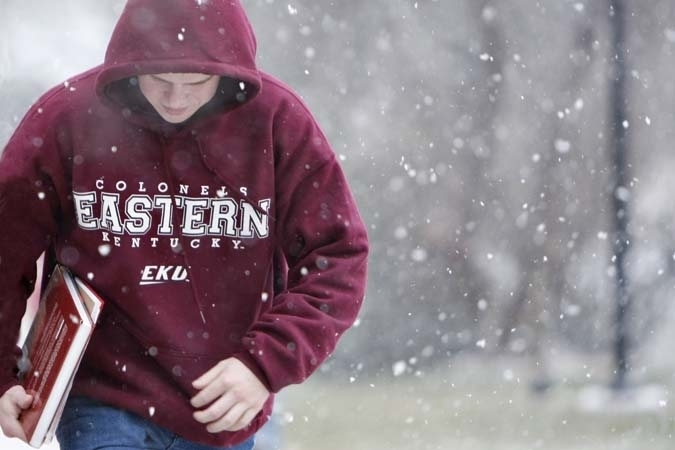 The Medical Consent Waiver gives Eastern Kentucky University/University Claims Office and it's Workers' Compensation Insurance carrier permission to access records from medical providers regarding medical history and the Workers' Compensation injury. If any work is missed as a result of the injury or illness, it is essential to inform the University Claims Office immediately. If you are off for this injury more than three days, please contact Human Resources regarding applying for FMLA. All forms must be completed and sent to the University Claims Office. If any questions or concerns shall arise during this process, please contact the University Claims Office at: (859) 622-5523.